Anti-Terrorism consists of defensive measures used to reduce the vulnerability of individuals and property to terrorist acts. The Department of Defense requires that its personnel complete basic anti-terrorism awareness training annually. This training can be given by someone who has completed a service component’s one-week long anti-terrorism level 2 training, or this annual training requirement may be met by completing the Level-1 Anti-Terrorism Awareness Training on-line. For individuals who wish to obtain a greater understanding of terrorism and how to protect themselves from terrorist attacks and other violent crime, additional basic awareness training is also available on-line. The following awareness courses are available without cost to anyone who wishes to take them. This stand-alone training is sponsored by the Joint Staff in coordination with the Military Services. Completion of this training meets the annual requirement for Level I Antiterrorism Training prescribed by DoDI 2000.16. The purpose of this training is to increase your awareness of terrorism and to improve your ability to apply personal protective measures. It also provides links to resources you can use in the future. An active shooter is an individual actively engaged in killing or attempting to kill people in a confined and other populated area. In most cases, active shooters use firearms and there is no pattern or method to their selection of victims. Active shooter situations are unpredictable and evolve quickly. All employees can help prevent and prepare for potential active shooter situations. This course provides guidance to individuals, including managers and employees, so that they can prepare to respond to an active shooter situation. Surveillance Awareness: What You Can Do (IS-914) is a course developed to provide awareness to critical infrastructure employees of actions to take to detect and deter hostile surveillance situations. This course provides guidance to individuals, including managers and employees, on ways to enhance critical infrastructure protection through increased awareness, detection and reporting of suspicious behavior that may be linked to hostile surveillance activities. The "Terrorism 101" course prepares learners to successfully recognize, report, and react to potential terrorist incidents. In the first two lessons, learners develop a broad understanding of terrorism, including a definition of terrorism as well as examples of terrorist groups and targets. In addition, learners gain insight into the importance of protecting private sector resources through awareness-level training. The last two lessons list various weapons of mass destruction (WMD), relay indicators of potential terrorist activity, and outline actions to be taken in the event of a potential terrorist attack. Course was updated and recertified in July 2011. This course provides guidance to individuals and organizations on how to improve the security in your workplace. No workplace - be it an office building, construction site, factory floor, or retail store - is immune from security threats. Employees are often the target of these threats as well as the organization's first line of defense against them. Threats endanger the confidentiality, integrity, and security of your workplace, as well as your virtual workplace and computer systems. This course presents information on how employees can contribute to your organization's security. For anyone who would like to develop a more in depth understanding of terrorism, there are advanced courses of study, also available on-line. When taken in total these courses provide much greater breadth and depth of knowledge than the Department of Defense one-week anti-terrorism level 2 courses. It should be noted, however, that just completing this training does not make one an expert in anti-terrorism. Rather, completion of these courses will give you a foundational knowledge about terrorism that will serve to enhance your understanding of terrorism and terrorist related events. This course provides students with the appropriate background, skills, and abilities to qualify as an Antiterrorism Officer (ATO) and conduct Level 1 Antiterrorism (AT) briefings, based on component's approval. It details the duties and responsibilities of ATOs at DoD facilities or installations around the world; discusses AT awareness, terrorist group operations, hostage-taking and survival, terrorist use of weapons of mass destruction, active shooter threat, and insider threat; and explores the AT plan by examining physical security considerations, the antiterrorism planning process, and resource management. As part of the course, the bombing of the Khobar Towers in Saudi Arabia and the attack on the USS Cole will be studied. Community-led Action in Response to Violent Extremism (CARVE) is a 4-hour self-paced online course designed for a U.S.-based audience to provide community-focused, rigorously researched, and academically-informed instruction on Countering Violent Extremism (CVE). Targeted at the FEMA "awareness" training level, this FEMA-certified course is intended to provide a general introduction to radicalization to violence and community-based efforts. The course addresses the topic "Radicalization to Violence Awareness" by examining START-supported research about violent extremism and radicalization to violence in the United States. The course also provides guidance on "Community-Based Efforts for Countering Violent Extremism" by exploring a spectrum of community-led efforts to foster resilience to violent extremism and radicalization to violence. After completing this training, participants will be able to recall and understand research-based information about violent extremism in the U.S., and a social science theory of radicalization to violence. Participants will also be able to discuss a spectrum of community-based efforts for countering violent extremism. Registration for Understanding Terrorism and the Terrorism Threat is available through Coursera. Enrollment is available year-round. The course will begin with a unit looking at widely held myths about terrorism and utilizing empirical data to discuss the realities of broad trends and patterns in terrorist attacks over time. Then, it will review the psychological factors at play in individual radicalization and recruitment into terrorism, followed by an analysis of terrorist group dynamics. It will look at terrorist group operations, including their attacks and some of the supporting behaviors that allow them to carry out attacks, including use of media, financing, recruitment, and training. In conclusion, the course will look at the factors that drive terrorist group persistence or endurance versus terrorist group desistance, and will bring the varied course concepts together through a detailed look at the case of al-Qa’ida. Terrorism has arguably been one of the defining factors of our age. It frequently makes headlines, threatening or attacking governments, private business and ordinary citizens. And in many parts of the world, it has been one of the most important threats to peace, security and stability. But what does this exactly mean? What is the nature of this threat? Who or what is threatened, how, by whom and why? What can be done about it or how can we at least limit the impact of terrorism and make sure that terrorists do not make headlines and manage to scare us? This course will provide a brief introduction of the religion, its early history and schisms, the role of Jihad, Islam’s relationship to the West and that of individual Muslims within Western countries and the ideologies of Islamic extremism. This course discusses components of a school response plan including a bomb incident response plan. The concepts of time, distance, and shielding discussed in the course are applicable to a wide variety of incidents. The 'Recognizing Improvised Explosive Devices (IEDs)' section explains the major components of an IED and safety measures to consider with a suspicious device. This free certificate program includes courses that provide training in bioterrorism preparedness and understanding the public health threat. Emergency providers that will be responding to bioterrorism events are also one of the focuses of this program. This certificate is composed of 5 courses: Bioterrorism, Biological Response Preparedness for Emergency Medical Services, Bioterrorism: The Public Health Threat, Bioterrorism: The Agents, and Mass Casualty Incident Triage. The possibility that terrorists might acquire and use nuclear weapons is an urgent and potentially catastrophic challenge to global security. Nuclear weapons, the most powerful weapons of mass destruction (WMD), use the energy produced by reactions within and between atomic nuclei to generate tremendous explosive force, heat, radiation, and other harmful effects. You will learn about the threat of terrorism using nuclear explosives, and options for meeting this threat, in this self-directed course. The course provides relatively technical information about nuclear energy and nuclear terrorism. This course is designed to provide the basic awareness training to prepare first responders to respond to incidents of terrorism safely and effectively. 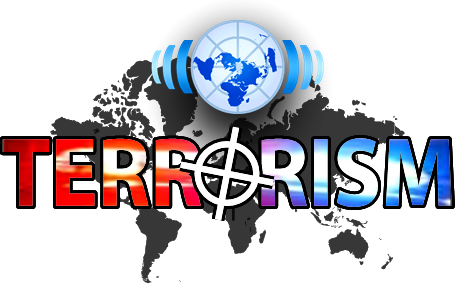 Terrorism, is it the scourge of our time? Are you fearful of being involved in a terrorist attack? Quite frankly it almost depends on where in the world you live. It is often because a safe place today is a terror target tomorrow. With the desire on the part of the terrorists to obtain weapons of mass destruction, i.e. chemical, biological, or even a dirty bomb or nuclear bomb, the potential for a massive destructive attack increases exponentially.This course looks at the recent history of terrorism from the early twentieth century to today. - The extent to which terrorism has become a part of life in the twenty-first century. - Why there is not a generally accepted definition of terrorism. - Acts of terrorism in the old world, the Middle East, Africa, Asia, and the new world. - Who in the world is acting to fight terrorism, or acting to support terrorism. - What the world is doing to combat terrorism. - The known terrorist groups and what are their goals. - The continuous problems with political and military tactics in defeating terrorism.